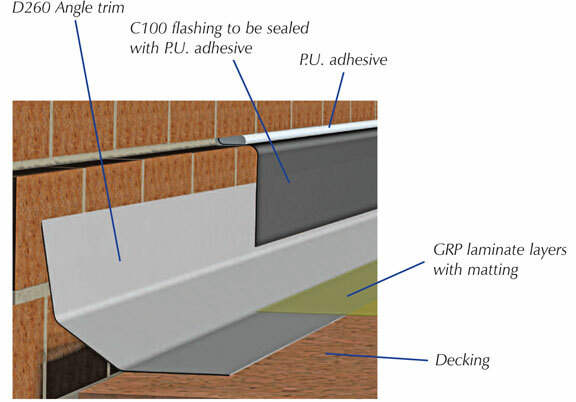 C100 replaces traditional lead flashings and comes with or without an integral moisture trap. 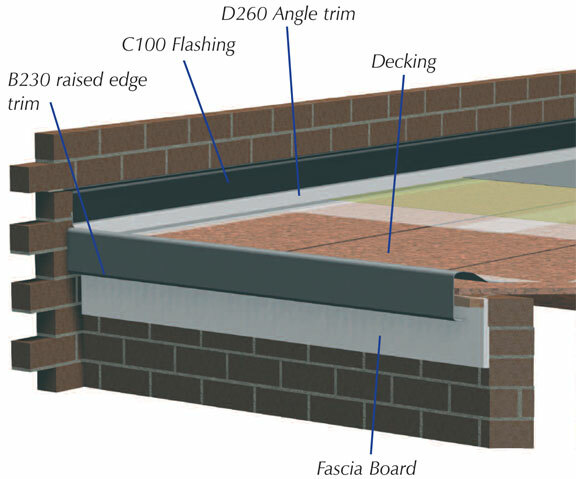 D260 is for application with abutting walls and gutter linings. It ‘floats’ unattached beneath the c100 to allow for expansion of the substrate. It also provides cross-roof ventilation. 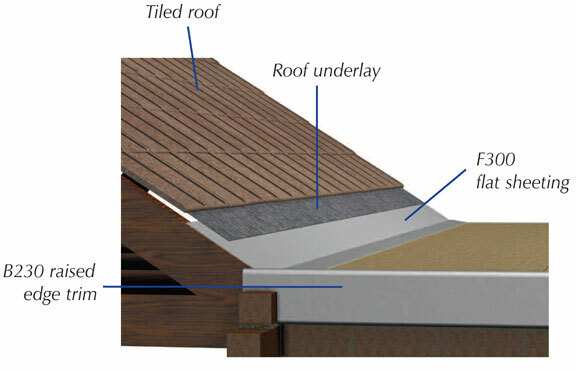 F300 is flat sheeting used for continuous flashing under slate at the junction with the roof as shown in the example. 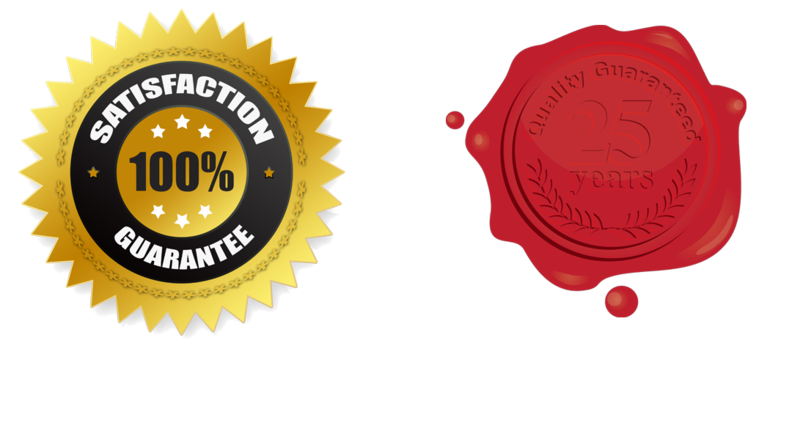 It can be used for gutter lining, cavity trays etc.